I saw this idea on social media and I absolutely love it! Just grab a mason jar and use it to contain all your “special moments” throughout the year. But I’m going to take this one step further ~~ if you know me well, I like to “personalize” great inspiration so that it fits my lifestyle and intentions. I’m choosing to record all meaningful moments ~~ good and bad, hard to swallow and easy to digest moments in time. This little mason jar will serve to remind me of the goodness and graciousness of God throughout all moments of my life. It will give me tangible and visible reminders that He never forsook me and always cared for me ~~ even when I couldn’t see beyond my own feet. I speak in both the future and present tense because I know my God is faithful to His Promises. Yes, I am making this a practice into the New Year ~~ and I am so confident of God’s unending love, that I’m buying more than one jar! Lamentations 3:22 God’s loyal love couldn’t have run out, his merciful love couldn’t have dried up. They’re created new every morning. How great your faithfulness!I’m sticking with God I say it over and over. He’s all I’ve got left. Love this idea Linda! 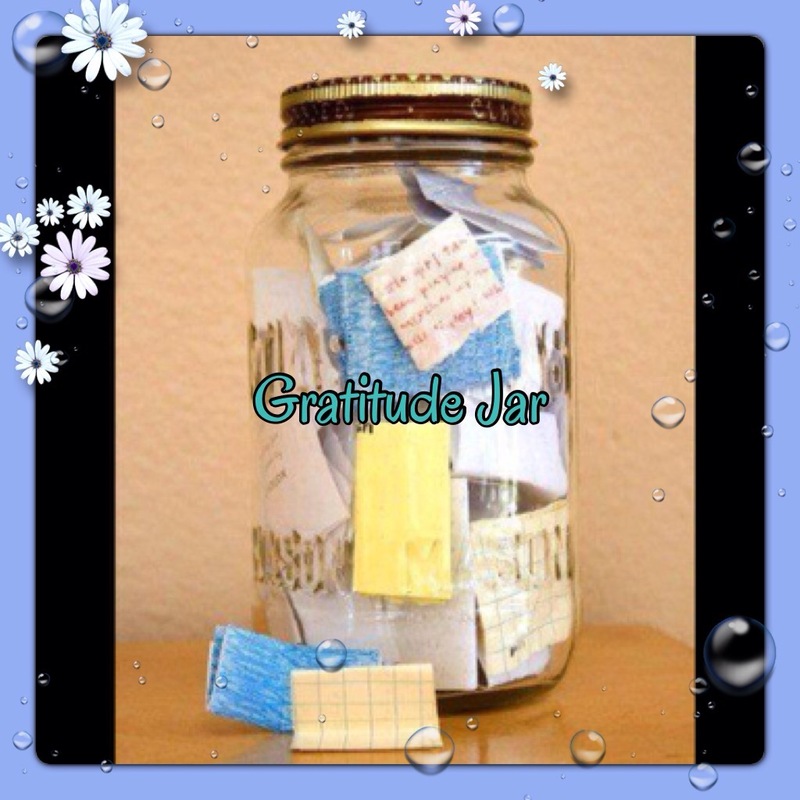 I think I will have to create my own Gratitude Jar as well!